Mark is a high school dropout who began doing research in biology in college and went on to complete a PhD at Harvard, studying under the poet-laureate of conservation, Edward O. Wilson. To document the social behavior of Asian ants for his graduate research he learned photography, and his very first images were published in National Geographic magazine. Mark is known for documenting new animal species and behaviors during his exploration of remote places in more than a hundred countries. He takes pleasure not just in physical adventure but in the intellectual challenge of finding connections across fields, whether it’s comparing the structure of such communities as bacterial films and forest canopies, or examining the life and death of societies across the animal kingdom and in humans right up to the present day. 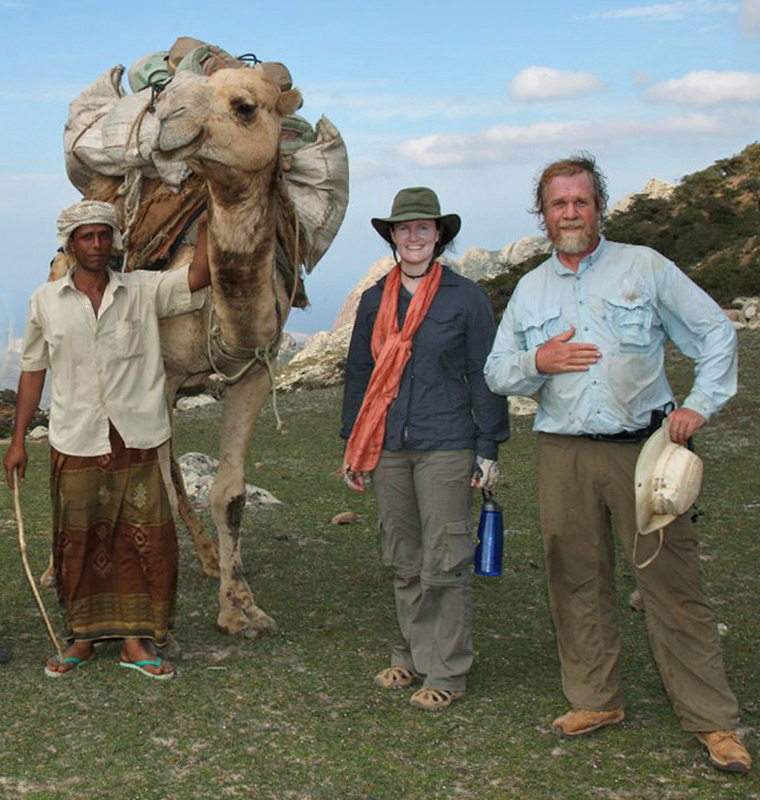 When not lost in nature he lives with his wife and fellow globetrotter Melissa Wells in Brooklyn, New York, and keeps an office overflowing with books, tree-climbing gear, entomology supplies, and camera equipment in Greenport, Long Island. I have always been a biologist. The storyteller emerged later. I began watching ants in the family backyard in Salida, Colorado, in 1958, the year I was born, and I’ve pretty much stayed at ant level ever since, using insects as a way into thinking about evolution and society. That I turned a boy’s obsession into a career surprised my family, none of whom are academics. The parallels between my beloved ants and humans would become a theme of my 2010 book, Adventures Among Ants. An insight while writing Adventures became the animating idea of much of my current work: the way ants forge societies is an attribute shared by us humans.. The maturation of my initial thinking on this topic was covered by Nicholas Griffin in Before the Swarm (Atavist, 2011). But I’m getting ahead of myself. My dad was a Presbyterian minister, mother a stay-at-home mom. My family moved to the Midwest when I was six. I was the classic introverted nature boy, scoping out creeks for frogs and climbing trees. At home I bred Jackson’s chameleons, a triceratops-like Kenyan lizard with three horns. Rearing this species was considered impossible, and I was asked to write about the experience for the newsletter of the Wisconsin Herpetological Society, which I had joined as a charter member at the age of twelve. One school day at breakfast I received a call from a zookeeper in South Africa, who clearly thought I was a professional and wanted advice on chameleon husbandry. My family stared as I explained over long distance how to sustain a safe feeding area for newborn reptiles. In junior high I was enticed to join the Science Book Club by the offer of three books for a dollar. One of my choices was The Insect Societies, which riveted me from the moment I cracked its cover. Its pages described ants, bees, wasps, and termites with a thicket of terms like polydomy, dulosis, and pleometrosis and there were exotica in each paragraph. The dust cover showed the book’s author, Edward O. Wilson, in a natty suit standing in his laboratory at Harvard University. I had a tough time in high school, more driven by nature pursuits than by exams. I dropped out after my junior year, but began helping ecologists at nearby Beloit College, a liberal arts school where I was admitted, without a diploma, in 1975. 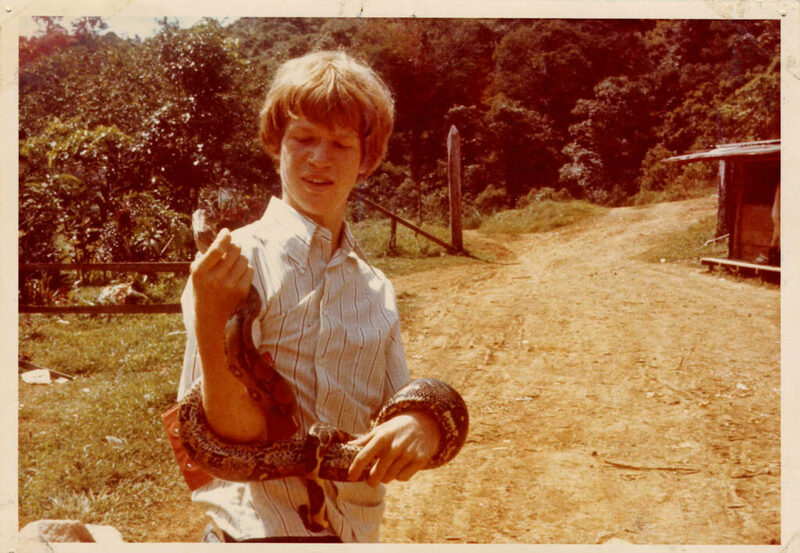 During my second year as an undergraduate at Beloit, Max Nickerson, president of the Wisconsin Herpetological Society, invited me to join him on an expedition to Costa Rica. No one in my family had been outside the United States. I was about to live the dream of a boy enraptured by stories of naturalist-adventurers. Known for fast hands, I caught everything from tropical crocodilians to a deadly fer-de-lance snake. I befriended other ecologists to get jobs normally taken by grad students, becoming an assistant on treks to study Central American butterflies and beetles across a swath of the Andes. I spent months marching over plateaus of treeless páramo habitat, at times beyond 16,000, feet to find my first new species—a beetle. I began to get a taste for the life of a seasoned explorer. But I wanted more. I wanted to study the ant. On returning from South America, I steeled myself to write a letter to Edward O. Wilson, whose The Insect Societies had become my bible. His response was a warm handwritten note encouraging me to drop by on my way to the Woods Hole Oceanographic Institution, where I was about to take a course in animal behavior. Beloit is an informal college. So when Professor Wilson opened his office door, I greeted him with “Hi, Ed!” and gave him a two-fisted handshake. If my casual attitude offended, he didn’t show it. Within minutes, this recipient of dozens of science prizes was spreading images of ants across his desk and floor and exchanging stories with me as if we were both still young boys. His fervor was infectious.I had grown up on the books of Jane Goodall, Dian Fossey, George Schaller, and other field scientists. I once lunched at Beloit with Margaret Mead, who banged her cane for emphasis as she recounted tales of tribal groups I wanted to meet. I knew most of the earth had been mapped already. Meeting Ed made me realize there were still discoveries to be made. I earned a BA in 1979, graduating Phi Beta Kappa with high honors, and with five scientific coauthorships. I arrived at Harvard in 1980 to begin graduate school supported by a National Science Foundation Graduate Research Fellowship. My first priority was to find a species worth studying. I knew where to look. Harvard is famous in some circles for its collection of preserved ants. I spent weeks rummaging through naphthalene-scented cabinets. I came upon three drawers labeled Pheidologeton, an unstudied group of ants. They were stunning. Each species had worker ants that came in all shapes and sizes—a greater range, it would turn out, than in any other creature. This polymorphism, as it’s called, is an indicator of a complex social life. I decided Pheidologeton would be my version of Jane Goodall’s chimpanzee. Within months of arriving at Harvard I proposed to Professor Wilson—Ed—that I journey across Asia to investigate Pheidologeton, which I proclaimed would rank among the world’s premier social species. My excitement, if not my charts and graphs, won him over, and with his blessing I boarded a plane bound for India. Nonstop for twenty-nine months I vagabonded through Nepal, Sri Lanka, New Guinea, Indonesia, Malaysia, Hong Kong, the Philippines, and more, communicating with my advisor by post. I was fortunate to be awarded a grant from the National Geographic Society, normally given to scholars who already had their doctorates. Still, on a tight budget, I made it through my first six months in India on a single $100 traveler’s check. I investigated numerous ants that had never been studied before. Among them was a species of Pheidologeton (now called Carebara) that I named the marauder ant for the way it forages in swarms. It turned out that Pheidologeton did indeed have one of the most complex social lives of any ant. 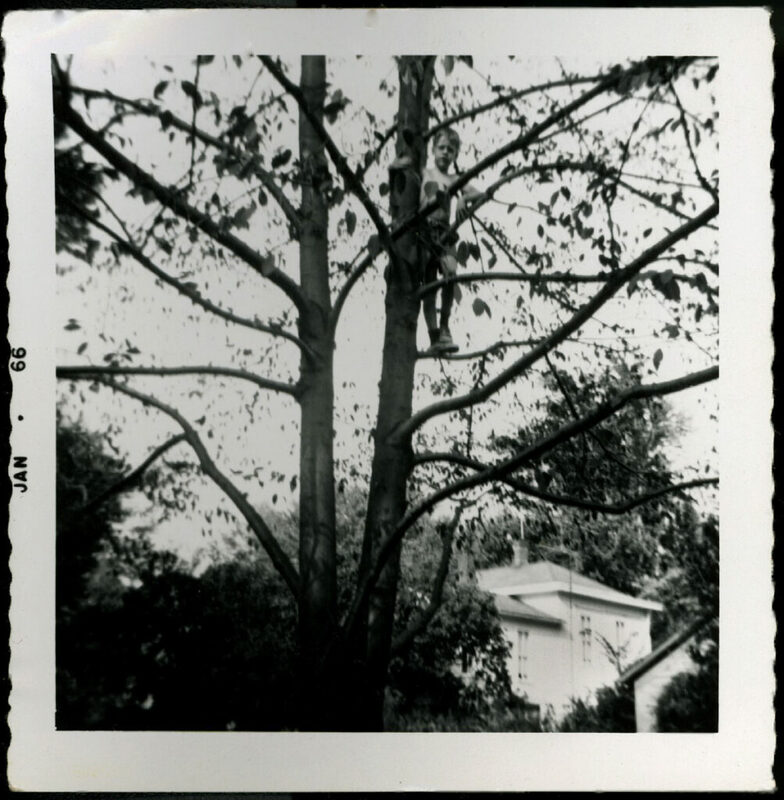 Early in grad school I hit on photography as a way to document my fieldwork. I learned how to take pictures from a book about photographing supermodels, applying the idea of hair lighting and fill lighting to macrophotography—photography of the infinitesimal. I could afford $230 in jerry-rigged gear, including a used camera and flashes so cheap they often delivered electric shocks. After five months I mailed my first six rolls of film to National Geographic, which had offered to develop them. 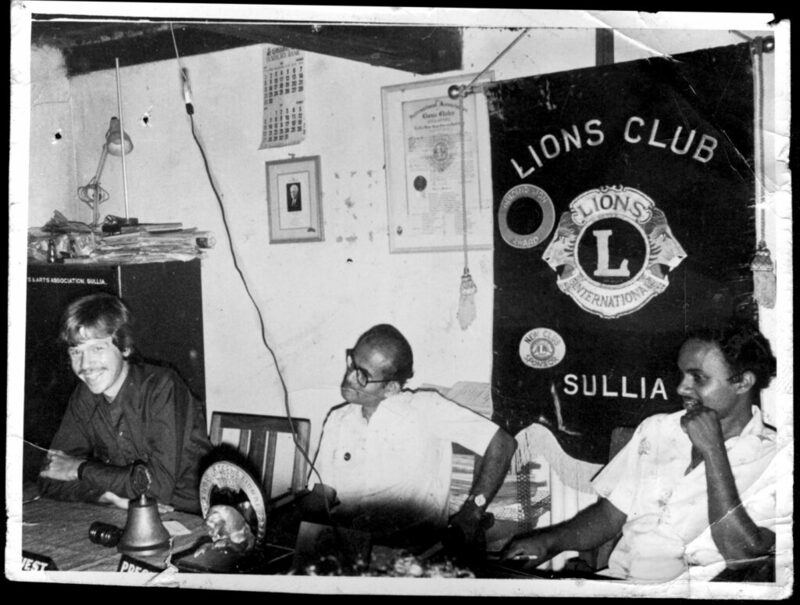 I received a telegram: a National Geographic writer was flying to India to meet me. By the time I finished my PhD I had an office at the National Geographic headquarters. My dissertation led to my first story for the magazine. My images and love of nature stories gave me a way to engage people, freeing me from my childhood shyness. I made it a mission to inspire others by whatever means I could devise. I’ve polished my skills in front of New York audiences, trying my hand at standup at clubs like Gotham, the Creek & the Cave, and the Laugh Lounge, and appearing multiple times on The Colbert Report and Conan. While at Harvard I shifted much of my effort to canopy biology, whork resulting in my first book, The High Frontier. “Some of Mark’s job skills bear little resemblance to those found on a typical academic résumé: a love of arboreal existence, an apparent immunity to tropical diseases, rock-steady hands, and the ability to place his ankle behind his head.” So began a Harvard Gazette cover story about me. I had come to realize that many fascinating species lived high overhead. I’ve now climbed trees in forty countries, at one point making the Guinness Book of Records with a team led by Humboldt State University professor Steve Sillett for summiting the world’s tallest tree, a California redwood standing 365.5 feet. I still do research in the field, most recently publishing an review of the architecture of different ecosystems that required correspondence with nearly one hundred experts. For years I was doing so many projects that a 1999 Wired magazine story calculated that I traveled more than the US secretary of state. While researching Adventures Among Ants I looked into an invasive species in California, the Argentine ant, and saw that fundamental questions were not being addressed about the nature of societies. In 2014 I took a scholar-in-residence position at the National Evolutionary Synthesis Center at Duke to consider the issue. Over the next five years I dropped most of my usual tropical travels to meet leading psychologists and anthropologists. Ultimately my efforts resulted in the 2019 release of The Human Swarm: How Societies Arise,Thrive, and Fall. On a research expedition to Chile I met the governor of Easter Island. When Sergio Rapu learned that my long-term partner and I intended to marry, he arranged for us to have the first traditional Rapa Nui ceremony to take place in many years at the edge of Rano Kau volcano, dressed appropriately in feathers and loincloths. Melissa Wells and I have been exploring the gobe ever since.